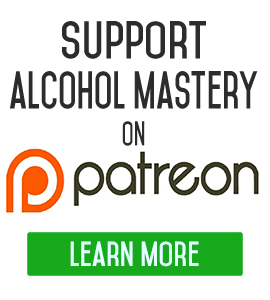 I’m Kevin O’Hara for Alcohol Mastery and this is Stop Drinking Alcohol Week 42. So I’m 42 weeks off the booze and feeling great. I’m out walking everyday now, I’m just trying to switch around and trying to do a bit more walking because I think that’s the thing that’s gonna shift the weight. I just wanna get rid of this last bit of weight, so I’m trying to focus on that, I put the yoga a bit onto the back burner. I’m still doing a little bit, I’m still doing a session or two a week, and starting off every morning with a little small session of maybe 10 or 15 minutes, but It’s just a nice relaxation to get me into the day. The problem with yoga is that there’s only really two types of yoga. There’s a lot of different variations of yoga throughout the world, but there’s only really two types. There’s the ones that get you up and get your heart-rate going and cardiovascular and there’s the ones that slow you down. They put you into meditation, slow your heart-rate down and get you into a calm state. Now I prefer the second. But the problem is that you can’t have both! You can’t have the same one where it raises your heartbeat and lowers your heartbeat at the same time. 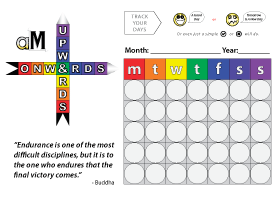 You can have different sessions within the same yoga session, but…there’s not many that work like that, and it defeats the purpose if you’re starting out slow and then you’re going faster; it just doesn’t work – for me, anyway. So really, it’s just about focusing. I’m just focusing on the walking. I’m gonna get down to my goal of weight. And once I’ve done that then I can ease back a bit on the walking and start adding a bit, a few of the yoga sessions into it, so – that’s the plan anyway. A lot of the things this week that I’ve been thinking about was just I did a video – it was last week or the week before – when I was talking about having the end in mind. But if you’re ready to believe in what you’re doing – have some passion for it – I mean, I really want to get down to the weight that I want to be at now because I believe I can do it. And, I want to – there’s so many different things I want to do in my life, but you’ve gotta have that passion in the first place. I went back the other day and I looked at one of the first videos that I’d done, and it was amazing, I just couldn’t believe how tired I looked. And it was sort of uplifting in a way to see and how far I’d come because I really didn’t recognize myself. And to look back then and look at how my own choices had dragged me down…I was totally overweight, I just saw it in my eyes how defeated I was by the whole thing. But there you go, I’m totally glad I’ve done all the videos now and I can look back and you know, I can show other people that it is possible to do this kind of thing. Photographic Proof of Your Meteoric Rise! I’d recommend it to anyone, if they’re starting out to take a photograph of themselves, to do a video of themselves, and really – put it away and take it out after two months, take it out and have a look at it and you’ll see how far you’ve come. You’ll see the gains that you’ve made. You’ll see just how beneficial it is to yourself. And you’ll never want to go back. I mean, I seriously – I’ve made a promise to myself when I looked at that video and I thought I will never ever put myself into that state again. I just can’t do that to my body. I just gotta try and live for whatever amount of years I’ve got left. I’m 48 next year and you know, how many years I’ve got left I don’t know, nobody knows, but I just won’t do that. I’m gonna do my best to try and make these last, the second-half of my life, a lot better and a lot healthier than the first half. Though anyway, hope you got something out of that video. For an extra couple of tips, sign up for our weekly newsletter at the top of the sidebar. It’s free! 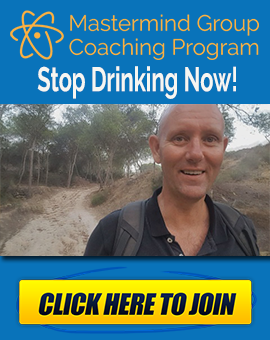 Just fill in your email address and first name… It gives you a heads-up to new content on the site, and most importantly – it’s a weekly reminder of your commitment to quit drinking. 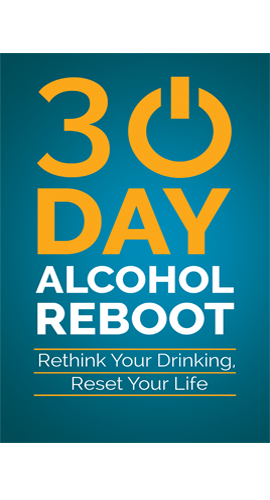 So, that’s Stop Drinking Alcohol Week 42.